Extractable and Leachable studies are often straightforward, but they also can be some of the most analytically challenging components of a development program. Because these types of studies often result in unplanned development challenges, they are difficult to manage from a cost perspective and can often impact timelines. Let ABC Laboratories help! 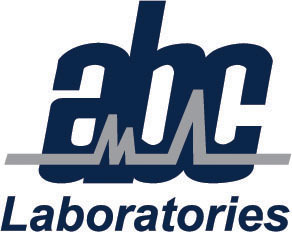 ABC Laboratories has extensive experience in container closure qualification, designing extractables and leachables programs and employing Quality by Design (QbD) principles to deliver the data regulators demand, in the most efficient and economical manner. We actively manage "scope creep" often associated with extractables and leachables development by detailing a program customized to the route of administration and unique characteristics of your drug--so deliverables, timing and costs are predictable. ABC has Extractables and Leachables experience with pressurized metered dose inhalers (pMD(), dry powder inhalers (DPI), nebulized vials, syringes, stoppers, vials, infusion sets/tubing, stents, infusion pumps--including primary and secondary packaging challenges regarding VOCs, ink-related leachables, and more. ABC dedicates some of our most skilled problem solvers to a special team we call the ABC TASC Force. These talented analytical chemists are industry veterans armed with decades of trace impurity characterization experience, a wide array of ultra-sensitive instruments and uncompromising resolve. Submissions for orally inhaled nasal drug products (OINDP) and injectable solutions generally include a description of potential extractables with a safety assessment and a determination of observed leachable compounds. ABC Laboratories has conducted studies that provided this data for many drug product types. Two inhalation products containing Extractables and Leachables data generated at ABC Laboratories were approved first round. All OINDP study protocols are based on recommendations found in the PQRI best practices paper. Our state-of-the-art equipment, including UPLC TOF and ion Trap mass spectrometers, can provide the high end identification horsepower required for this type of trace analysis. Let our experienced regulatory advisors and staff scientists design your next E&L program.